For the past few days, the movie Udta Punjab produced by Anurag Kashyap is trending for the reason that it is being demanded to make unreasonable cuts by the censor board. Well, Mr. Kashyap said it is his fight and he would fight for it. I sincerely hope he wins. In this week’s Friday Fundas, I would like to highlight how the legendary director Alfred Hitchcock had constantly challenged the censor board in many ridiculous ways, broke many of their rules and in effect changed the idea of Censorship. Out of the many instances, two of Hitchcock’s movies are still very popular for the kind of controversies they evoked with the Censorship. Notorious released in 1946 starred Cary Grant and Ingrid Bergman. The signature scene in the movie is the kissing scene between Cary Grant and Ingrid Bergman. Hitchcock wanted to shoot a two and half minute kissing scene. But the censor board at that time allowed only three seconds long kissing scene. In order to achieve what he wanted, he had interrupted the scene every three seconds to pass the movie through the three-second rule in the production code. The movie Psycho which he had made in 1960 evoked more controversies right from the production stage. You could watch the movie Hitchcock or read the book “Alfred Hitchcock and the making of Psycho” written by Stephen Rebello to learn more about it. Out of the many controversial scenes, there was a scene in which the toilet is shown with visible notes being flushed. Till that date, none of the movies had shown a toilet in the movie and censor board initially rejected it and eventually had to give in as there was hardly any logic behind it. The shower scene is the money shot for the movie. Hitchcock knew he would be ridiculed by the censor board. So he had deliberately made it more violent so that he had negotiated with the board to arrive at the output he wanted. The board also had objection over the opening scene of the movie. He negotiated with them that he would change the scene and reshoot it provided they allow him to keep the shower scene. He also had said he would reshoot with the censor board members on the set under their advice. As they did not turn up for the reshoot the scene remained. Post the release of Psycho the censor board was never the same again. The movie relaxed many of the censorship rules giving more freedom to the filmmakers. Hope you liked this article. Leave your comments and thoughts below. In case you are interested, you can read more articles from Friday Fundas section. The masterclass to some extent has been a fanfare more than a discussion for the popularity he has. Amidst of all that there had been few gems and very practical advice that would be useful for filmmakers. Gone are the days where you had to serve as an assistant director to learn about film-making then go on to become a director. He said you learn a lot more in making short films than being an assistant director. The reason is in making of short films you are exposed to the whole project as compared to being an assistant director where you get a partial view into a large project. When you write a script you develop a character. This evolves and adds new dimensions as the actor gets into the shoes of the character. The end result of a character is the healthy collaboration between actor and the director to let it evolve and become real. Good actors are key to bring the characters to life. Everyone wants to make a movie but they often delay creating the screenplay. As much as this is delayed so will the movie. Keep a daily target for completing the script and follow it religiously. Hope you found this useful. Leave your comments if you had further thoughts on this. 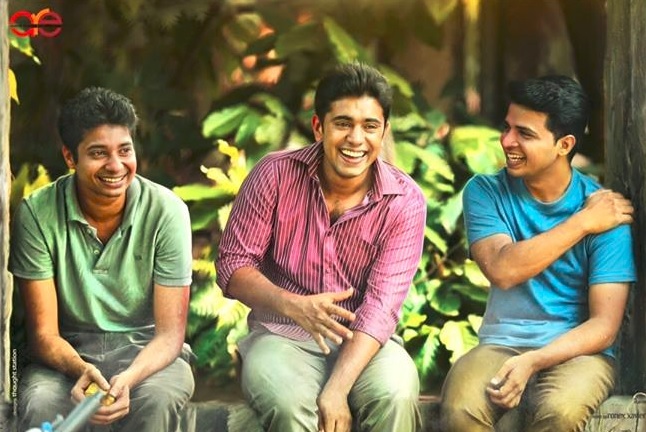 Premam (Malayalam movie) has been one of the wholesome entertainers of the year. Though the usual commercial masala elements with some cliched sequences still Premam had an irresistible run at the box office. Post the success of the 70’s blockbuster Sholay someone asked Sippy the secret behind the success of Sholay. He answered movies like Sholay are not made to succeed they just happen. The same analogy could be applied to Premam as well. In this week’s Friday Fundas I wanted to explore some of the facets that made Premam entertaining. The most appealing element of the movie was about memories. Atleast more than one sequence in Premam would have appealed to you and brought back the memories of your past hidden deep inside your heart. It had some similarities to the movie Autograph by director Cheran. However, Premam was more on a lighter note. The movie is arranged in three phases school life, college life and life beyond college. During the first phase of the movie, more of Macro shots had been used. The movie starts with the shot of a small wall beside the garden which is seen in a typical middle-class household in Kerala. Such type of shots has been used throughout this phase like the jars of the tea shop, close up of the juice in a glass and so on. These shots help in touching one of the five senses in you as I had talked about in Recipe for movies to connect with Audience. The entire gang hanging around in the tea shop, stalking girls, using landline phone to call friends bring back some of the good old memories. Nivin Pauly’s character George is the pivotal character in the movie. The character arc of Nivin Pauly is done very well across the three phases. A clean shaven look without mustache during the school days, a fully grown beard with a black shirt and white dhoti during the college days and clean shaven with a neatly trimmed mustache look post the college phase brings in a good amount of variation. The innocence in the character during the first scene transitions to a rough and tough look and then transitions to a calm composed look. Nivin Pauly’s body language to depict these transitions is one of the strengths of the movie. The casting for the heroines has been a big plus. Featuring new actresses who are not from mainstream cinema has worked wonders in connecting with the audience very well. If anyone is planning on a Premam remake, use new faces rather than resorting to actresses who are already well established. This plays a very effective role in connecting with the audience well. A girl next door image helps the audience in associating with the lead character. The songs were not added just for the sake of adding songs. Although one could argue it had commercial intentions, I felt the songs were cleverly woven into the story giving a musical tone for the film. The songs were also very pleasing and merged with the tone of the movie. The movie had well-written humour which worked well. The absence of emotional melodrama is a big plus for the movie. The above are some of the points that worked well with movies. Overall if the script connects with the audience irrespective of it being a commercial entertainer or an off beat film it will succeed. All of us are enthusiastically talking about the magnum opus movies like Baahubali that is in the making for a long time. Long time doesn’t necessarily mean the cost of the movie but the common trait is the passion for producing high quality cinema to the audience. In this week’s Friday Fundas I am going to talk about a well-known personality whose obsession to create great movies changed the landscape of Indian Cinema. The name is Satyajit Ray. All of us know Satyajit Ray created his debut directorial venture Pather Panchali (Song of the Little Road) that was released in 1955. Do you know when the shooting for the movie started? It started in 27 October 1952. The estimated budget for the production was Rs. 70,000 (around USD 14, 613 during that time). The film took so long to produce due to funding problems and the shoot has to stop and restart many times. Satyajit Ray had a passion of making cinema for a long time. In the 1940’s when he read the novel Pather Panchali by Bibhutibhushan Bandopadhyay he wanted to make that into a movie. When the French director Jean Renoir was making his film The River in India, Ray had a chance to assist him. Jean encouraged Ray to make Pather Panchali. Ray then travelled to London on his advertising company assignment. He watched more than 100 films. He started drawing sketches for his movie Pather Panchali. Based on these sketches he created the initial storyboard with details of continuity. Ray altered the story and characters to suit the narrative of a film. In particular the iconic scene where the children run through the field to catch the glimpse of the train is not in the novel. Ray had casted new faces primarily to reduce the cost of filmmaking. After many auditions for the casting of Apu; Ray was not satisfied with the people he met. His wife spotted a boy in the neighborhood who she thought would fit the role and thus he became Apu on screen. The Technical team also included many new comers. The Cinematographer Subrata Mitra was handling camera for the first time. He had worked with Ray in the sets of The River. Initially he was given the role of assistant director and later he became the cinematographer for the movie. Subrata Mitra and art director Bansi Chandragupta later went on to become very famous in their respective professions. Ray had funding problems from the starting. He had to work as a graphic designer, pawn the insurance policies, and sell his gramophone records to raise the fund for the movie. Ray’s wife pawned her jewels to contribute to the fund. But halfway through the filming Ray ran out of funds and could not resume it for a year. One of the most influential friends of Ray’s mother had requested the Chief minister of West Bengal Bidhan Chandra Roy to help with funding the film. The Home publicity department saw the footages of the film and helped Ray in completing the film with appropriate funds. The government is said to have misunderstood the nature of the film to be a documentary on rural uplift and recorded the loan as being for “road improvement” based on the title of the movie. Rest is history where the movie was welcomed with overwhelmed response all over the world and Ray the master mind director for Indian film industry started ruling hearts of the audience for many years to come. He went onto making two sequels to Pather Panchali, Aparajito and Apur Sansar. This is rated as one of the best Trilogy of all times. Thus the passion and obsession of a man who believed in his dream went on to realizing it. Also a best movie is not about making it on a big budget but narrating a compelling story through visual medium to the audience. If you liked this article you might also like this article about the legendary director SS Vasan and the making of his magnum opus Chandralekha. It is good to be back with the Friday Fundas section after a while. This week I would talk about a specific style of script writing known as Non-linear narrative. Nonlinear narrative is the art of telling a story as a list of events that are not in chronological order. The earliest form of nonlinear narrative in India has been experimented in Mahabharata. While this type of narrative has been popular in novels and stories, it has not been so easy to master this in the films. Only in the year 1924 nonlinear film emerged from French the avant-grade in the film “Entracte”, Dadaïst film by René Claire. Sometimes people confuse non-linear narrative with films that employ flashback sequences. While you could argue them as nonlinear narratives but they may not be equivalent to narrating events in a non-chronological order. Films like Rashomon by Akira Kurosawa used non-linear narration using flashback that was non-chronological in nature. In a typical three-act play structure a film has a beginning, middle and the end. A nonlinear narrative also has the same but not necessarily in that order (quoted by Jean-Luc Godrad, French-Swiss filmmaker). In the 1990s Quentin Tarantino employed nonlinear narrative structure in his films like Reservoir Dogs and Pulp Fiction. This made a huge difference to the viewing experience. In Indian movies director Maniratnam in his movie Alaipayuthe very well exploited this. The movie used flashbacks and flash forwards and converged at a point, which made a difference to the narration and won many accolades. In the late 90s entered Christopher Nolan whom I consider as a perfectionist of nonlinear narration. Recently I had seen the movie Following by Nolan. This was his first movie and made in a very small budget. But the nonlinear narration has been used very well. He never uses adages like “3 months ago” or “2 days ago” but cleverly used the hairstyle of the pivotal character and facial scar to differentiate between the timeline of the narratives. The story picks up from three points of a linear narrative and travels in parallel. It is just brilliant. He then went on to make Memento and the Batman series, which also heavily utilized the nonlinear narrative style. A story becomes very interesting in the way it is told even if it is a same old story, which is been retold. Nonlinear narrative if executed well adds that difference and generates interest levels in the audience. Watch some of the nonlinear narratives mentioned in this article and let me know what you think.